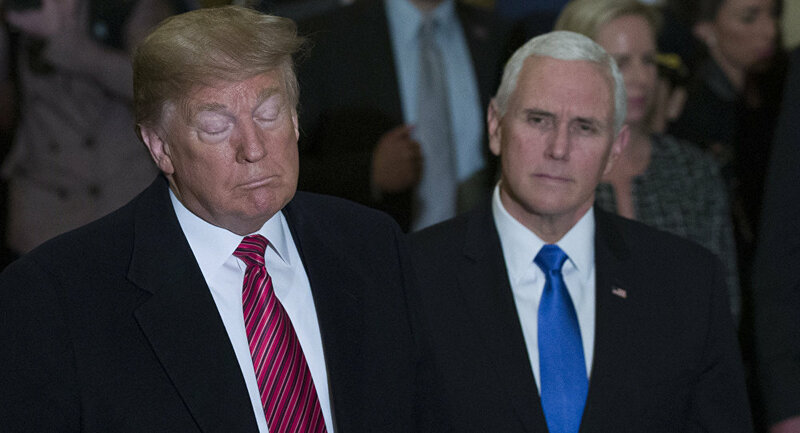 MEXICO CITY (Sputnik) - Venezuelan Foreign Minister Jorge Arreaza called on US President Donald Trump and Vice President Mike Pence to step down "for the future of all humanity" in the wake of Pence's claim that Venezuelan President Nicolas Maduro "must go." ​In January, Venezuelan opposition leader Juan Guaido, backed by the United States, declared himself the interim president of Venezuela after disputing Maduro’s re-election last May. Washington immediately endorsed Guaido, called on Maduro to step down and seized billions of dollars’ worth of Venezuela’s oil assets. Maduro has accused the United States of trying to orchestrate a coup in order to install Guaido as a puppet leader beholden to Washington. Russia, China, Cuba, Bolivia, Turkey and a number of other countries have voiced their support for Maduro as the only legitimate president of Venezuela.